Mounts the Windows NTFS bootcamp disk writeable (rw). Is there a better alternative to MagicNTFS? Is MagicNTFS really the best app in System category? Will MagicNTFS work good on macOS 10.13.4? 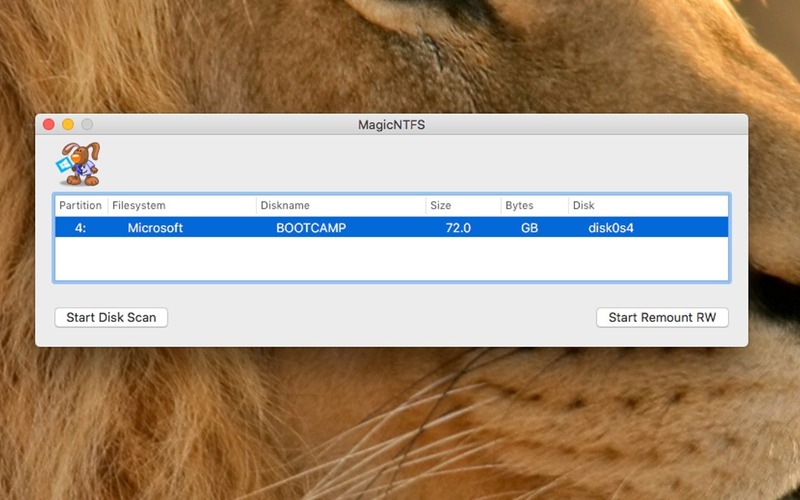 MagicNTFS mounts the windows ntfs bootcamp disk writeable (rw). So it‘s very easy to copy and transfer files between Mac OS X and Windows bootcamp on a mac. This tool works only temporary. After a reboot, the bootcamp disk is readonly again. It does not change the fstab. Please if you are asked to enter the password, enter it twice. This action is only temporary. After a reboot, the bootcamp disk is readonly again. It's very important that the diskname of windows partition is named as BOOTCAMP ! Note: MagicNTFS is no longer under development, and it is no longer available for sale. MagicNTFS needs a rating. Be the first to rate this app and get the discussion started! Then it's very important that the windows system did clean shutdown ! Otherwise it is not possible to mount the BOOTCAMP partition rewritable !